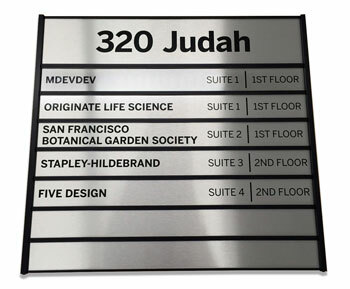 Display office suites, room numbers, apartment numbers and more with our 20" wayfinding signs. 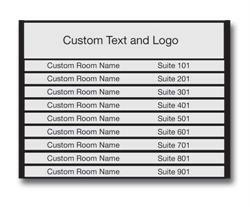 Top header area and up to 7 directory nameplate insert areas are all customizable (more nameplate slots available by request). 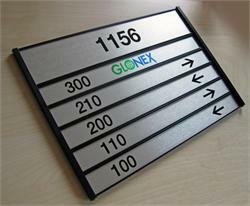 Replaceable sign slot units makes changing any one of the suite number nameplates or room name plates convenient. 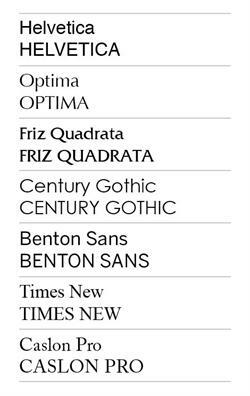 A clean, professional directory sign that's easy to use and easy to update. 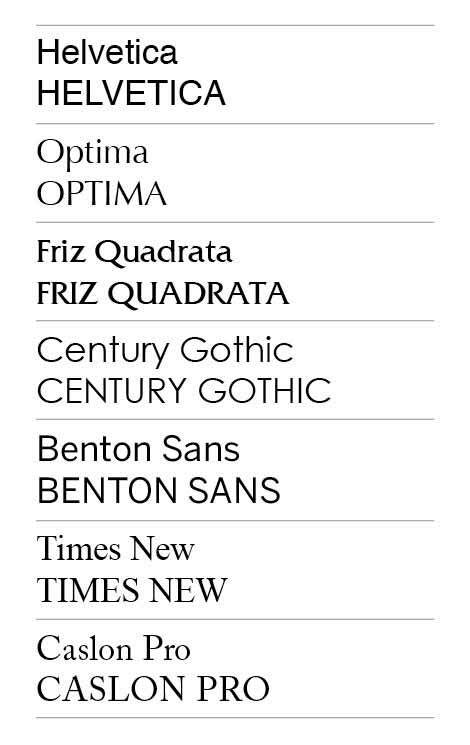 Free text personalization and logo. 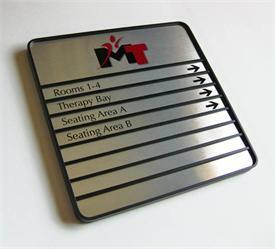 A unique sign used by building contractors, property owners, hospitals and building management. 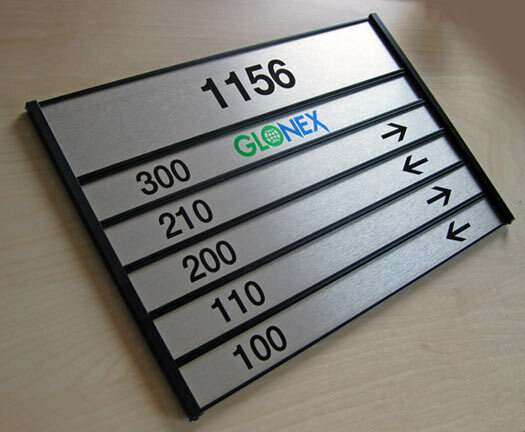 Standard Sign includes a single 4" tall header with (QTY 7) 2" tall nameplate slots. 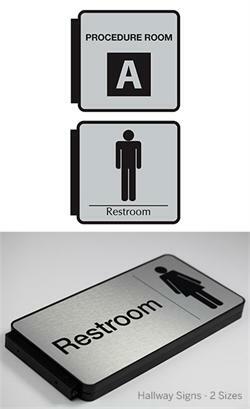 Total sign measures 20-5/8"W x 19-1/4"H.
Please email us your sign customizations, text and logo specifications. 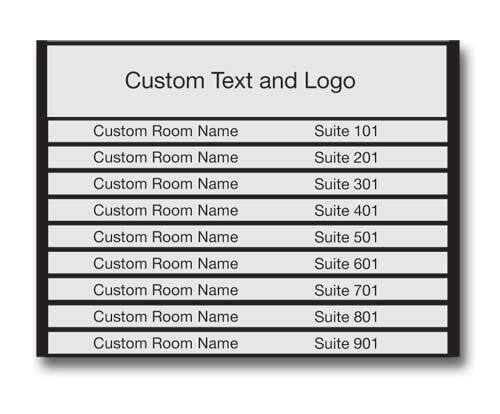 Personalize the top directory header portion as well as up to 7 of the changeable insert nameplates, unmarked inserts will remain blank. Black architectural metal frame and custom name plate color choices - other frame colors available by request. 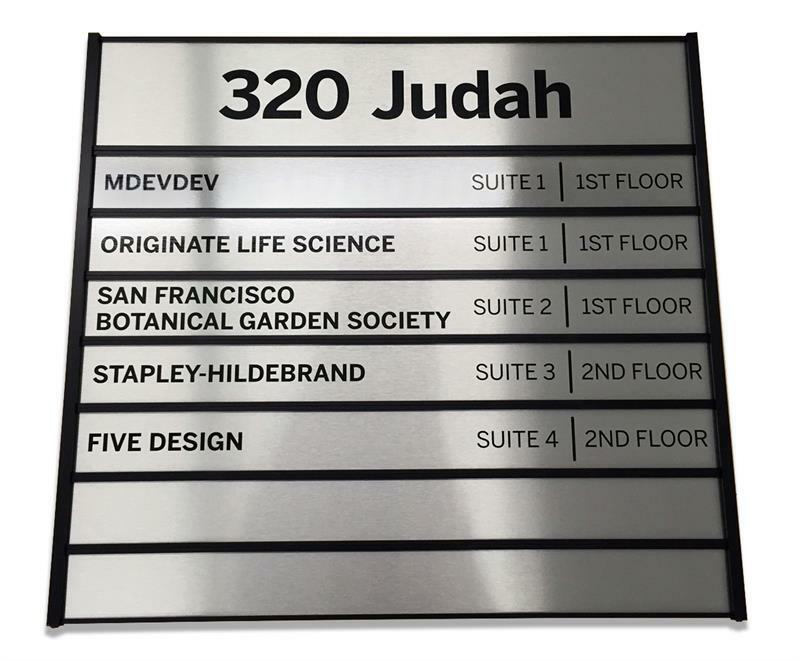 Our directory sign units are completely custom made to your size and color specifications, so please allow at least 8 additional business days to our standard production time.Screw-mount sign frame installation recommended.